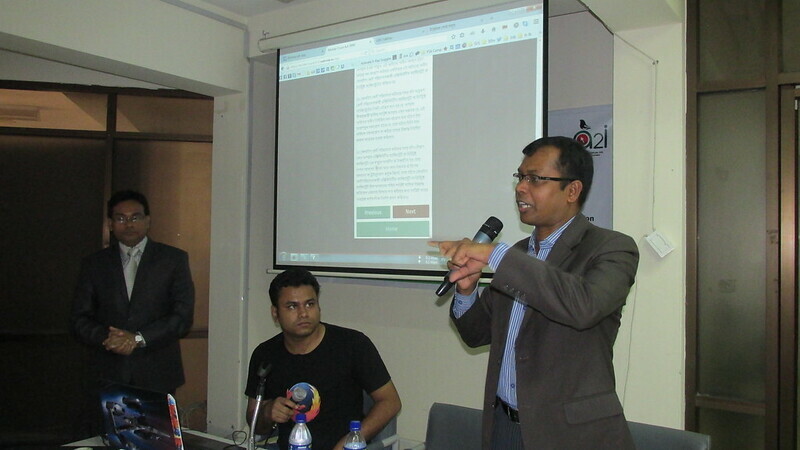 Recently Mozilla and Access to Information (a2i) programme of Government of Bangladesh arranged an boot camp as the first step to bring the Webmaker tools for the general people of Bangladesh. 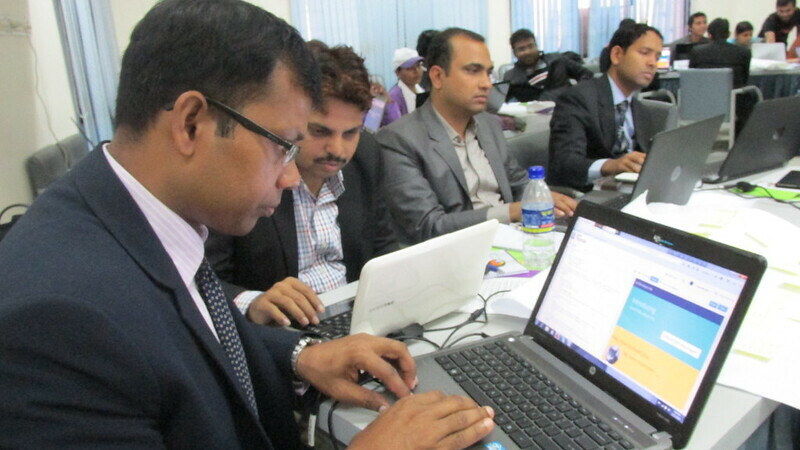 The goal was to use Webmaker tools for digital literacy for citizens of Bangladesh for batter e-Service Delivery. 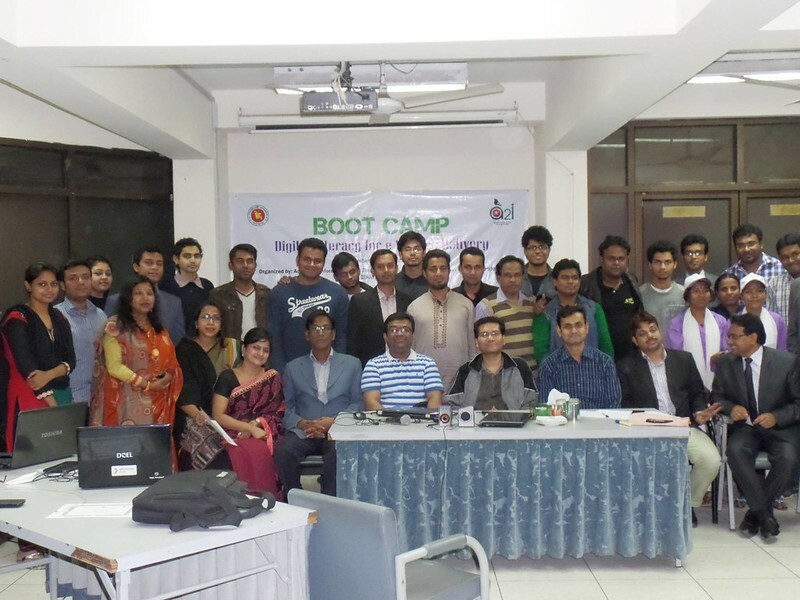 The boot camp was 3 days (31 December 2014 - 2 January 2015) long, the participants were from different professions as Teachers, Students, Entrepreneurs, Government officials and NGO officials. 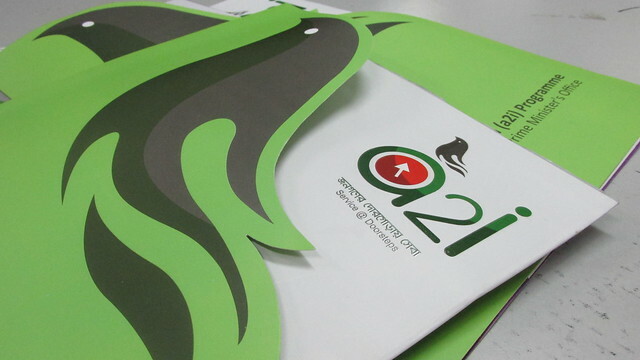 There was 30 participants from different locations organizations and institutions. Participants ware grouped according to their profession. They work 9:00AM to 6:00 PM everyday even more to learn the tools, test them, identify their problems at their daily works which they can solve with these tools, they also develop some teaching kits on how to teach these tools to others for each group. 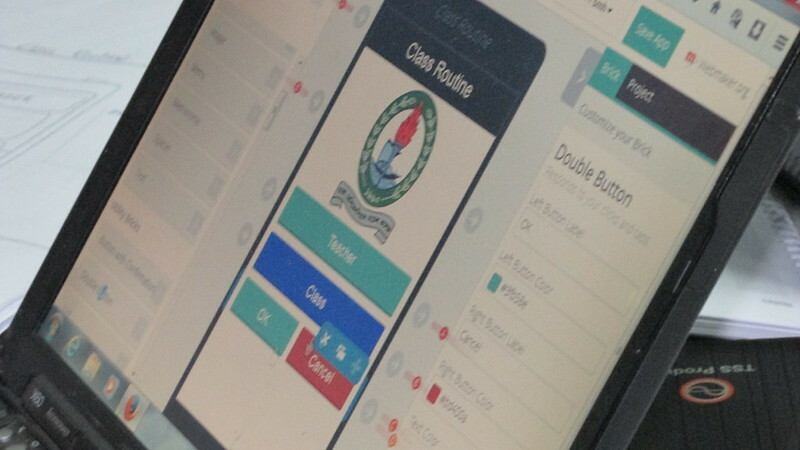 The boot camp was to test the webmaker tools from various perspectives whether the tools are ready to use, are they applicable in daily life tasks, how easy to learn about them and get benefited. The another dimension of the camp was to see how different groups of people from different professions and backgrounds accept the tools to deliver their services in batter ways. 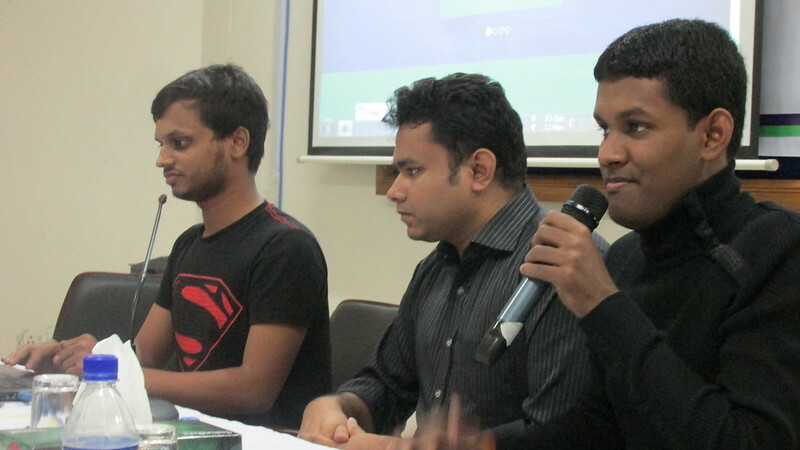 The boot camp was support by UNDP, USAID, Mozilla and Dnet. 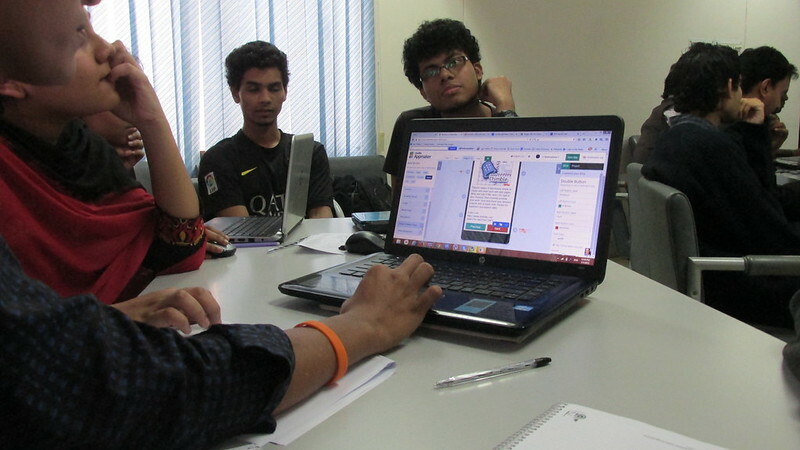 A team of 6 Mozillians from Bangladesh conduct the whole boot camp. At inauguration session showing "Web we want"
At the inauguration session the participants given an orientation about the camp. They has been motivated through some motivational videos and discussions. 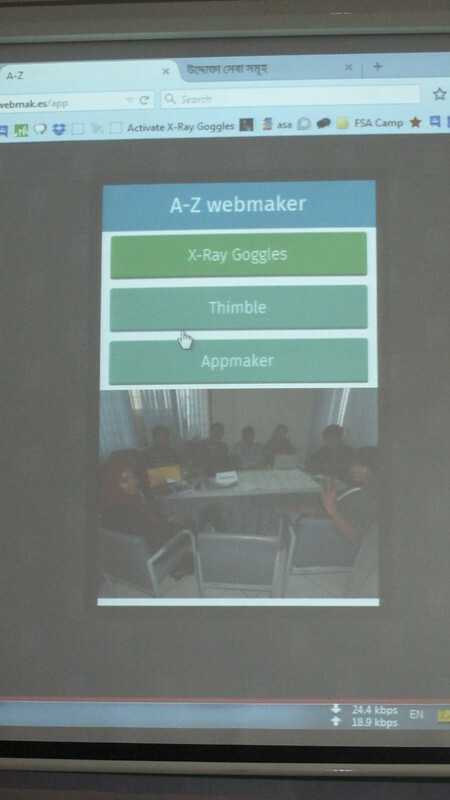 After that Mozillians demonstrate X-Ray Goggles, Thimble, Appmaker to the participants. 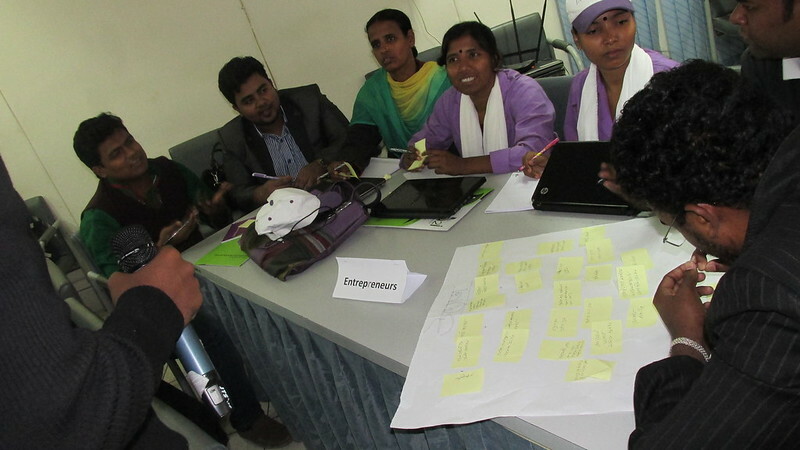 Then each group of participants work to identify problems in their daily works that they can solve them with technology. Participants worked in groups and list down their ideas and share with all the other groups with a presentation. After lunch Mozillians teach the X-Ray Goggles and Thimble to the participants and they do some hands on and remix with these tools. Day one ends with a interesting and funny games called "Trigger-Receiver" where participants learn and get an idea about the triggering and receiving signals system of Appmaker tool through performing songs, plays and making fun. Day two starts with a recap of previous day activities. Where some participants demonstrate again how to use X-Ray Goggles and Thimble. 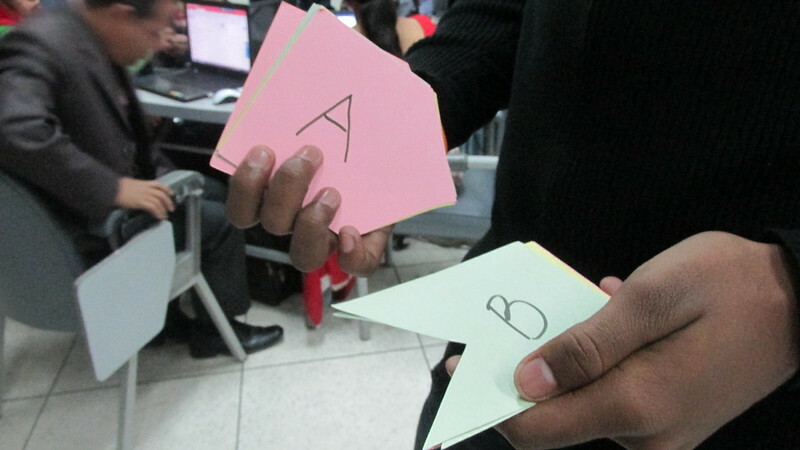 After that participants again did a group task to make a paper prototype of an app that solves one of their problem they identify and can make a batter service delivery to their clients. 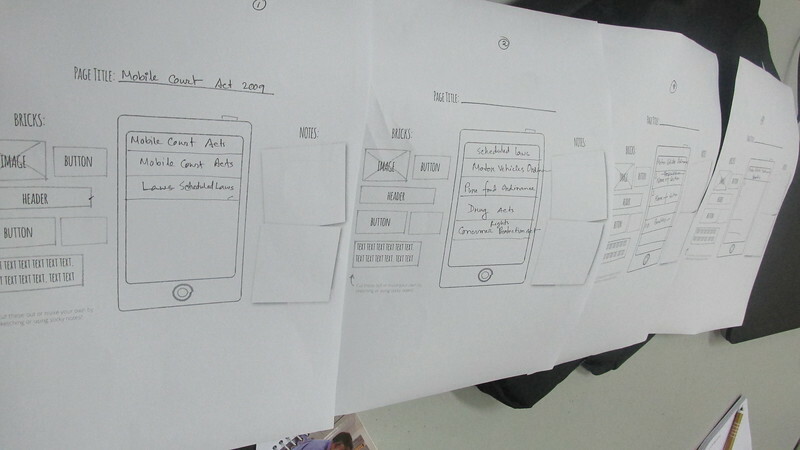 They ware given some piece of papers and participants have to draw their systems in the paper as an App. At the beginning Mozillians demonstrate them the Appmaker tools in details, show them some demo apps made with this tool and instruct them how to work to make a paper prototype for their apps. 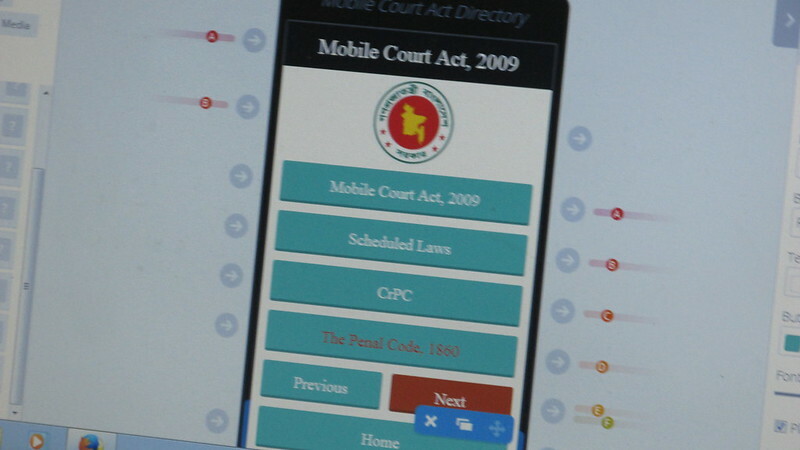 Then participants start to make their apps through Appmaker. Mozillians did help so that each groups to come up with at least one app demo. After the session each group present their apps to all the participants. 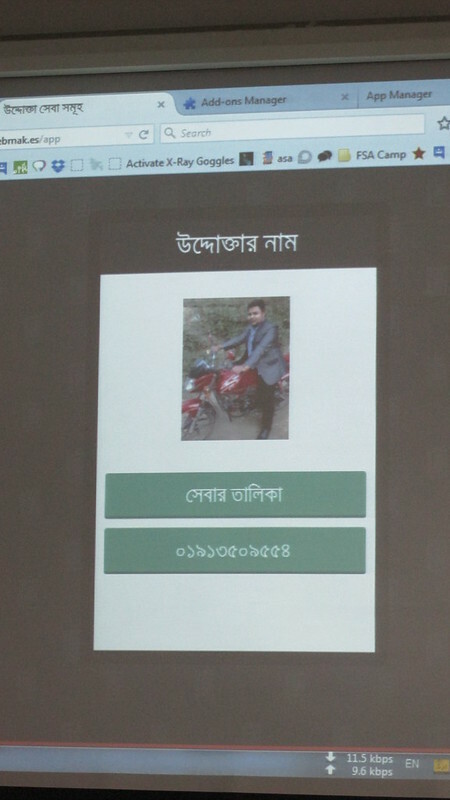 Interestingly each group of participants came up with some nice apps and some of them were in Bangla. After lunch participants again worked in groups to design workshop for their specific target audiences, they design complete workshop to teach more people about the tools and facilitate more people to use and benefited using the tools. Again day 3 starts with a recap from previous days activities. Some of the participants demonstrate their apps made with Appmaker. Then participants work in groups to make their workshop design by remix Workshop Design Kit at Thimble. Each group prepare a Thimble make for their workshop design. 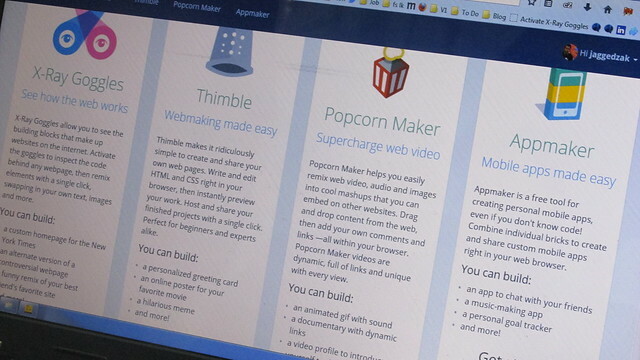 Mozillians help each group to make their Thimble with simple HTML. Before lunch participants specially teachers group requested to demonstrate them the Popcorn tool, which will help them to make interactive teaching materials for their classes. Mozillians demonstrate them the Popcorn tool and show them some makes made by Popcorn. After lunch each group of participants were present what they learn, design and make in those three days to all the participants and the guests. They gave their honest feedback about the tools and the boot camp. At the end of the event participants were given certificates for their participation at the boor camp. Event end with a group photo session. 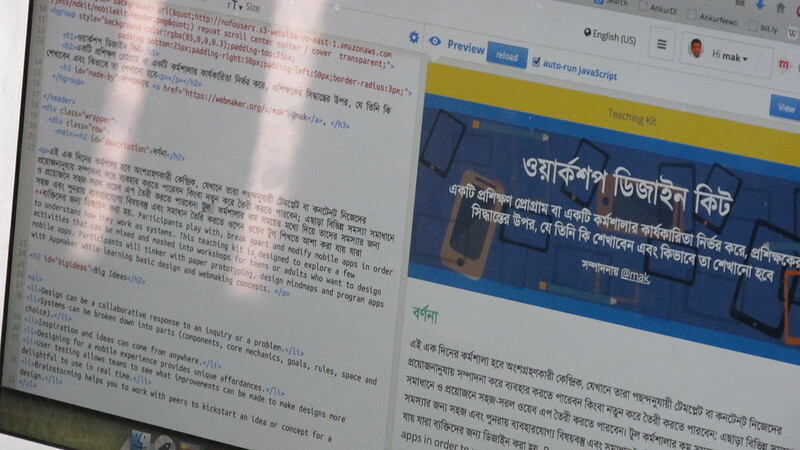 To connect all the participants of boot camp and the facilitators initiated a Facebook group page where participants can ask any help regarding the tools as well share their makes with all the participants. Also there was a planning session with Mozillians and a2i afterward to finalize the teaching kits and curriculum for upcoming trainings. 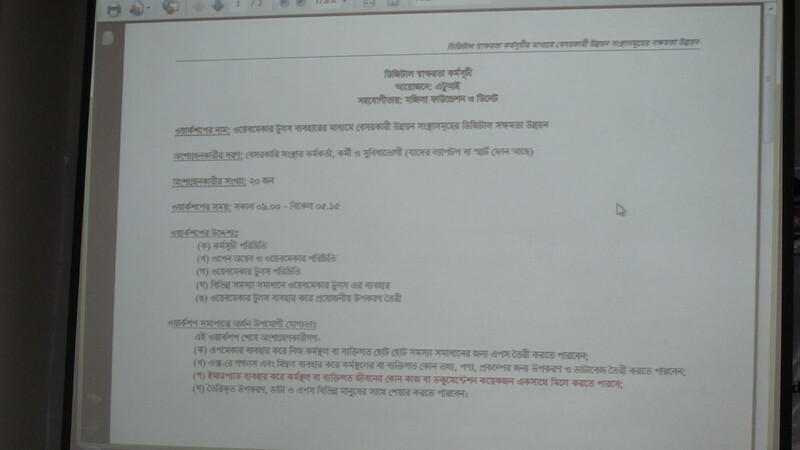 a2i planned to do a pilot training on January 23, 2015 in the Digital Innovation Fair at Dinajpur. 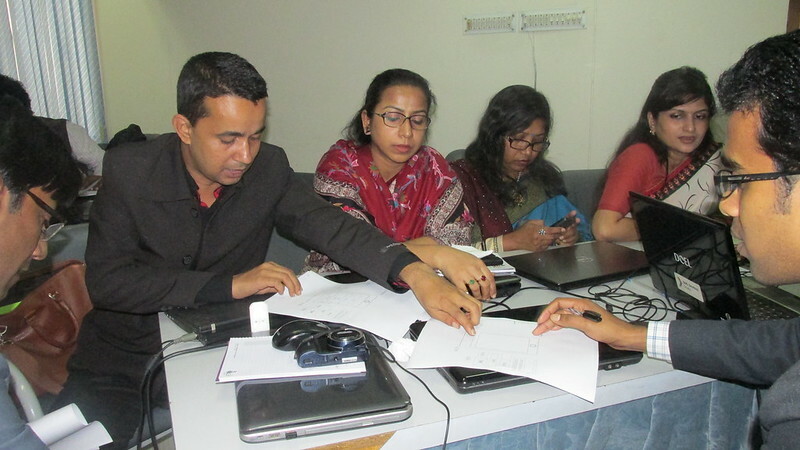 We eagerly waiting to see a successful training at Dinajpur and hope to do a lot more with Webmaker in year 2015. Stay tuned!